News media in the UK, perhaps understandably, often seem to be obsessed with Brexit and its implications. Rarely a day passes which does not see another alarmist article being published on some aspect of the ongoing negotiations between London and Brussels. Yet, while the UK’s media sphere devotes much of its attention to this momentous period in the country’s recent history, the situation in the rest of Europe couldn’t be more different. While European media follow the Brexit debate closely, they appear mostly unconcerned about the United Kingdom leaving the European Union. This is the preliminary result of a new study of the Brexit coverage in eight European countries. The study, which was conducted by the Reuters Institute for the Study of Journalism at the University of Oxford in cooperation with the media research specialist, PRIME Research, reveals that those living outside the UK do not believe Brexit will drive the EU apart. It also found European Brexit reporting was predominantly fact-based. Most (78%) analysed news items in the study took no position in relation to Brexit and only 22% conveyed a clear opinion. Media outlets in most countries have adopted a neutral position when reporting Brexit negotiations. Only one in ten reports, on average, covered the issue from a perspective of national self-interest. However there was a notable variation between countries. French media reported Brexit as more of a challenge for the United Kingdom rather than for the French or the EU; interest in the future of the EU was highest in Sweden and Greece. 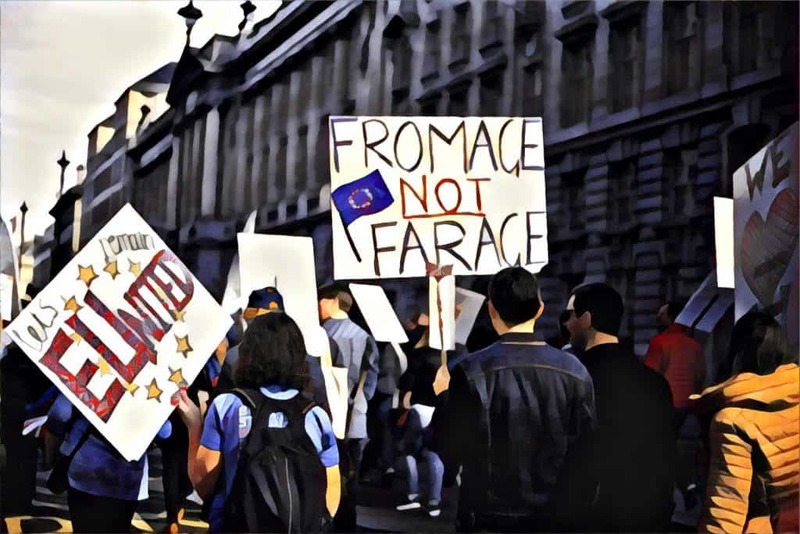 Spanish and Irish media in particular expressed a strong view against Brexit, while Italian and French media were slightly closer to presenting a mixture of arguments. Coverage in Ireland indicated the country’s close involvement in the Brexit process: reporting in Irish media appeared divided equally between the Irish and the British perspectives. The study’s findings reveal a general lack of anxiety about the future of the EU and the impact of Brexit on Europe, or on individual EU countries – with the exception of Ireland. If Irish coverage is excluded, most (68%) of the European news items reflected on the British situation, while slightly less than one in five articles (19%) discussed implications for the EU. Freedom of movement and the rights of EU citizens living in the UK occupied little space in the coverage (7% of news items). This figure decreased to 4% when news articles about the impact of Brexit on Ireland were left out. Excluding any generic references to Brexit, nearly half (42%) of reporting across all studied countries covered progress and setbacks in the Brexit negotiations. The remaining coverage (58%) focused on more specific issues. Of these, half concerned the economy, business and trade. Coverage of EU bureaucracy, standards and regulations played a role in only a small proportion (3%) of content studied. According to the study, politicians from other EU countries were rarely quoted on Brexit issues, a finding that contrasts with the impression sometimes given in British media coverage that European politicians ‘meddle’ in British affairs. Instead it fits the image of a ‘united front’ promoted by the EU during in the negotiations. When protagonists were quoted, the tone of the debate was set mainly by UK Conservatives (12.4%) and EU institutions (10.4%). UK Labour politicians played a negligible role: they were quoted in only 3% of news items, while vocal Leave campaigners, such as Nigel Farage and UKIP, were even less present (combined share of 0.3%). French, German or other EU national politicians were barely quoted (in fewer than 1% of reports). The most quoted person of all protagonists was British Prime Minister, Theresa May, with EU chief negotiator Michel Barnier following some way behind. A disproportionately large number of articles and news pieces in the sample stemmed from Irish outlets (1290 items – or 37% of the total). This finding can be explained by the particularly complicated relationship between the United Kingdom and the Republic of Ireland following the Brexit Referendum. *The complete study including a country by country analysis will be published by the Reuters Institute in July.